If you’re planning to stay in the Maldives capital Male, visiting the Villingili Island is something you should strongly consider. Villingili is one of the most convenient islands to visit in the Maldives, and this is especially true if you’re staying in Male for a couple of days. The island of Villingili may completely be unknown to you but Chasing Places aims to introduce you to Villingili and its beauty. Here are the top 7 reasons why you should visit Villingili during your trip to the Maldives. Reason 7. It is very convenient to get to Villingili from Male and Male International Airport. Villingili is only one ferry ride away from either Male International Airport and Male – the capital of the Maldives. This is why it is a popular day-trip destination for tourists who are already spending some time in Male. The Villingili Ferry Terminal is located in the southwestern corner of Male Island. From there, you can easily take the ferry as it runs the entire day. 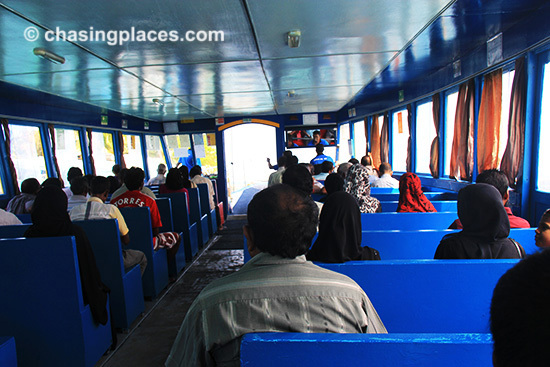 The ferry ride from Male to Villingili is only 10 minutes. How fast and convenient is that? Reason 6. Visiting Villingili is one of the most affordable day trips available in the Maldives. The Maldives has gained the reputation of being an expensive luxury island getaway. But this simply isn’t always the case. You can definitely have a trip to the Maldives on a budget if you know where to go. One of the most inexpensive islands to visit in the Maldives is Villingili. As mentioned, this is a nice, laid back, small island that is a short ferry ride away. The cost of a one-way ferry ride ticket? About 3.25 MVR (Approx. $0.20 USD). Yes, that cheap. The price might increase through the years, but we doubt it’s going to be that pricey since the ferry services local Maldivians, who make frequent trips to Male from Villingili and vice versa. 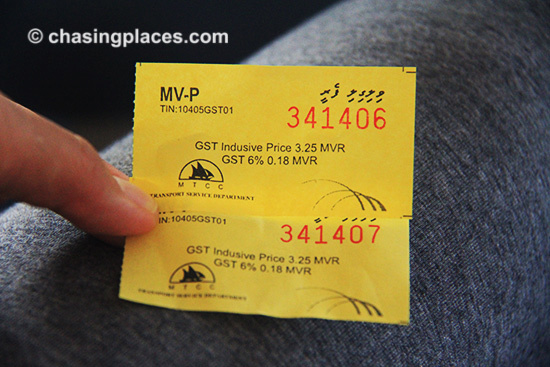 The public ferry ticket from Male to Villingili. Reason 5. It is more laid back and quieter than Male. To some, Male is becoming busier and overpopulated as this is where most local businesses and industries are established. Some tourists may like the bustling atmosphere of Male. But if you came to the Maldives to feel more relaxed, then Villingili is the ideal island to visit or even stay on. On Male, you will encounter touts peddling hotels and shop flyers to tourists and the streets are always busy with cars and people. This is not the case for Villingili. The general atmosphere here is slow and laid back. The streets are treelined and residents normally keep to themselves and don’t bother you. Despite its proximity to Male, you will feel like you are a thousand miles away from the Maldives’ capital city. Motorized vehicles are hard to come by on Villingili. Supposedly, the local government banned the use of motorized vehicles. If you do see vehicles, they are in the form of a few public buses and licensed taxis. Hotels and other businesses may have utility or electronic vehicles for transporting things from the ferry. 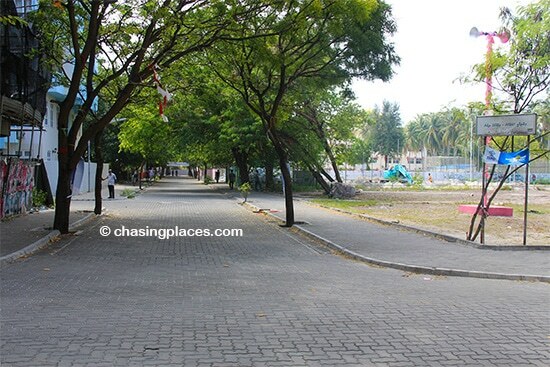 That said, Villingili is a great island for pedestrians and those who enjoy leisure walking. It’s not that tiring walking around the island either since it is only a couple of kilometers long. If you don’t feel like walking, you can also rent a bicycle to explore the island. Reason 3. Villingili has nice public beaches. 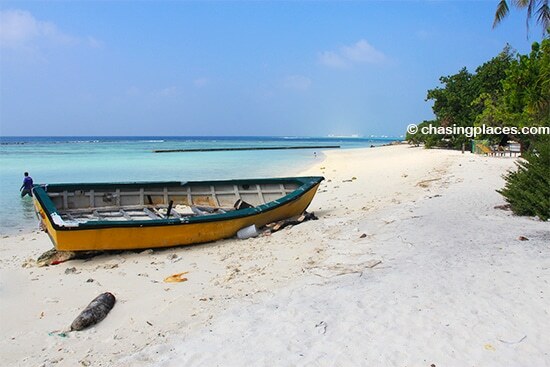 Yes Villingili has its own beaches and one of them is gorgeous. You may find a beach in Male, but this is artificially made. Villingili has two public beaches. 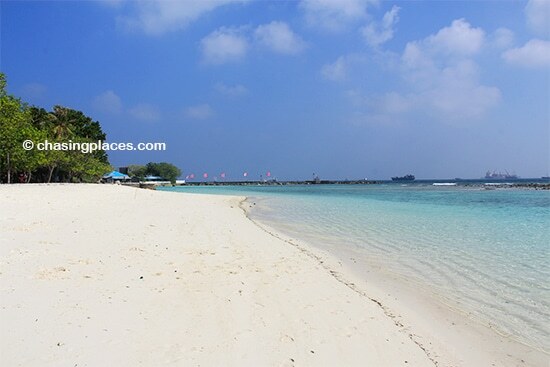 The first one near the harbor is very beautiful with white powdery sand and crystal clear water. The other public beach on Villingili is not as nice as the first one but it offers a view of the Male skyline. At some periods during the day, this beach is almost empty- a great place to have a picnic on and watch the sunset. One of the main attractions of Villingili is its stunning house reef. 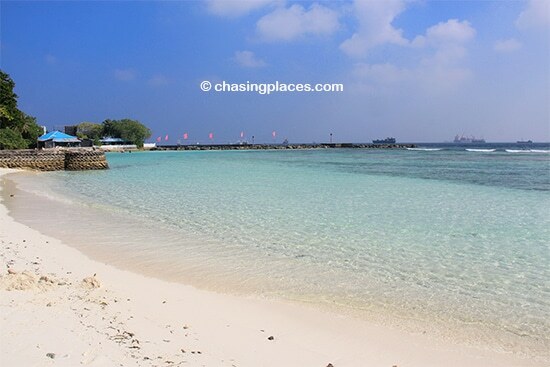 The great thing about this house reef is that you can easily swim to it from the shore of the main public beach. This means you can snorkel here for free, all day long if you want really. Just remember to bring your own snorkeling equipment and you’ll be all set. If you want to take up diving, there are also shops on the island that offer PADI training courses. Reason 1. Villingili is the ideal place to witness the everyday humble life of Maldivians. When tourists come to the Maldives, they often miss out on learning more about the local culture because they spend most of their time within island resorts. That is why some of the resorts offer their guests day tours to Male to expose them to the local culture and everyday life. If you’re planning your trip to the Maldives on your own, you can get a glimpse of Maldivian island life just by spending time on Villingili Island. 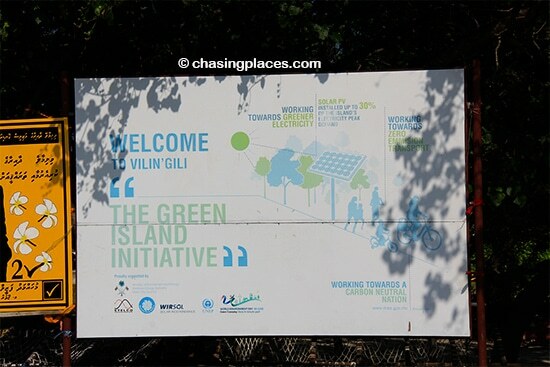 Male is really the only heavily industrialized and commercialized island throughout the Maldives. Although the capital has the greatest population, how locals live their lives on Villingili is more representative of daily living on the nation’s other islands. Villingili is a locally occupied island and the locals are very conservative in terms of dressing. Bikinis are not allowed even on the beach. As this is not a resort island, alcohol is not available to purchase on Villingili. The island, however, has stores and restaurants if you would like to have some refreshments or dine during your visit. Villingili has very limited accommodation choices. During our visit to the Maldives, we went to Villingili on a day trip and then came back to Male and stayed at Marble Hotel. There you have it: the top 7 reasons why you should visit Villingili during your trip to the Maldives. If you have any questions and suggestions, just comment below and connect with us on Facebook.